Sign Pro utilizes a variety of in-house equipment to meet the demands, turn around times and quality required in this industry. We employ several different plotters which are used to cut vinyl lettering for many of our products. 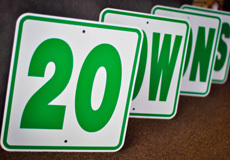 For printing interior or exterior, short to long run decals with a little more detail. 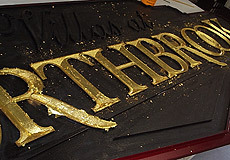 Equipped with a 4' x 8' table, we can cut custom shapes or rout 3 dimensional signs and letters. 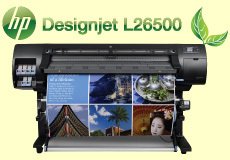 Our 61" Latex printer produces ordorless prints and is GreenGuard children & school certified. Laminate for durability, or laminate to change the finished look of your product - either way, we can do it. We can print high resolution flyers, business cards and more, or we can copy from your original. For your printed materials, we also offer padding, stapling and saddle-stitching, and spiral binding. We also offer installation services for all interior and exterior products. Exterior projects that are outside of our limits are handled by a certified and licensed installer whom we have partnered with for a number of years. We are also available as a wholesaler to retail businesses and agencies.